the white village of Competa. There are several cafes, restaurants and shops in walking distance from the flat and 10 minutes to the town square. Kitchen equiooed with dining table, refrigerator, freezer, oven, stove, microwave and dishwasher. 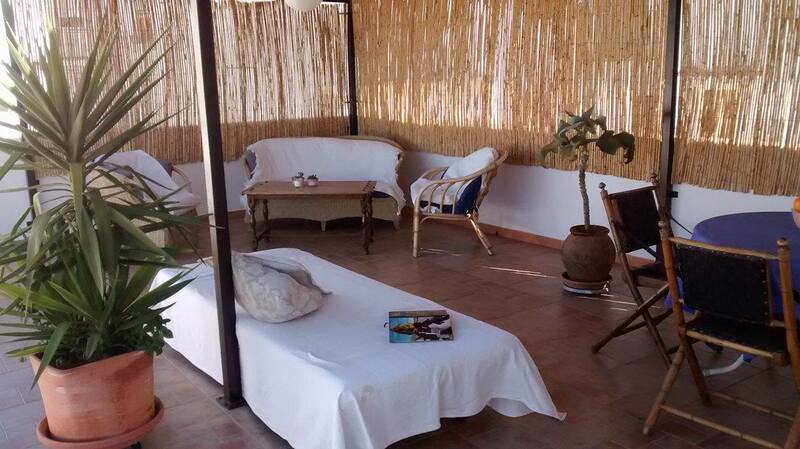 90m2 roofterrace with covered sitting area and a dining area, barbecue and sunbeds. There is aircon in the lounge and the bedrooms and sun ventilation in the lounge.